If you are like most people then you may be both really excited about the warm spring weather even though you are suffering from seasonal allergies. 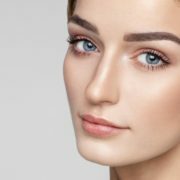 If it seems like that no matter how hard you try, you just can’t get rid of your itchy, water, red eyes, then this article is just for you. Here at Papale Eye Center, we have created a list of a few tips to help you find some much needed relief. If you haven’t already tried some over-the-counter eye drops then run— don’t walk— to your nearest pharmacy. Oftentimes, your eyes get really red and itchy because they are dry. Luckily, with some over the counter allergy eye drops for dry eyes, they can lubricate your eyes which will help you get rid of any discomfort or itchiness in the process. Sometimes when our eyes get really irritated it can be hard to calm them down. Before you go to bed at night, wash your face and then get a clean, warm, wet washcloth and place it over your eyes. The warmth will help your eyes to tear up which may help to get rid of any allergens in them in the process. Plus, the heat and moisture should help to calm down your inflammation as well. 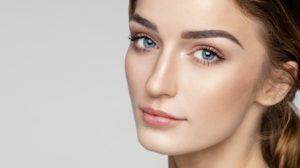 If you are notorious for wearing a lot of eye makeup, consider giving it a little bit of a break. Why? Even though your eye makeup itself may not be causing a problem, it may exacerbate your allergy symptoms; making things feel a lot worse. If you can’t seem to find any relief from your eye allergies— no matter what you do— then it’s time to come into our office for an examination. During your exam, we will take a closer look at your eyes, and maybe do some testing just to make sure that you are in, fact, suffering from allergies and not anything else. Are you interested in learning a little bit more about how you can kick your spring allergies to the curb? If so, contact us today and call us at our Springfield office at (413) 782-0030. Going to holiday parties is all about dressing up, right? And one of the most fun ways to really accentuate your holiday look is by wearing some fun, holiday-inspired makeup. Before you hop into bed after your party, make sure to wash off all of your eye makeup. Why? Dirty eyes can lead to an eye infection either in the eye itself, on the eyelids, or around the eye; something you want to avoid. Plus, too much makeup can clog your tear ducts which may lead to a sty or chalazion. To fully get rid of your eye makeup, use a gentle eye makeup remover and then follow up with a facial cleanser to get off any oil or residue. Our motto around our office? Wash, wash, wash. Just because it’s the holidays it doesn’t mean that the cold and flu season has gone on vacation. To avoid getting any sort of virus that may be going around, make sure that you wash your hands as much as possible. After all, the last thing you want is to get a bacterial eye infection that you got by shaking someone’s hand. If you are a contact lens wearer then make sure that you are keeping them as clean as possible. Every night before you go to bed make sure that you are not only putting clean contact lens solution into your case, but that you are cleaning your case as well. A lot of people don’t know it, but your contact lens case can harbor a lot of germs and bacteria which can lead to an eye infection. Skip the eye infections this holiday season. To learn more about your vision, schedule an appointment with us at our Springfield office and call us today at (413) 782-0030. You may think that those 1980’s eyeglasses you’re still sporting are making you blend in with the millennial hipster crowd, but it may be time to upgrade those bad boys to a new pair. Even though glasses can last for years if they are taken care of properly and your lenses are switched out, they can easily wear down. Here are some signs that you need new glasses. Read on to learn more. Admit it: How many times have you had to use a drugstore screwdriver to tighten your glasses? 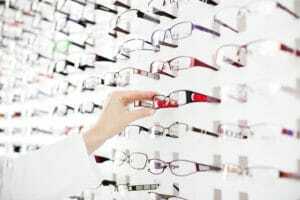 If you have to tighten the screws on your glasses more than once every few months, then it’s likely time to get new frames. Over time, the screws and holes on your glasses start to wear down and fall out. Do you look like you just got in a fight with a dragon? Are your glasses leaving you looking more disheveled than professional? 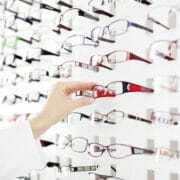 If your glasses are lopsided, then you may need new ones. 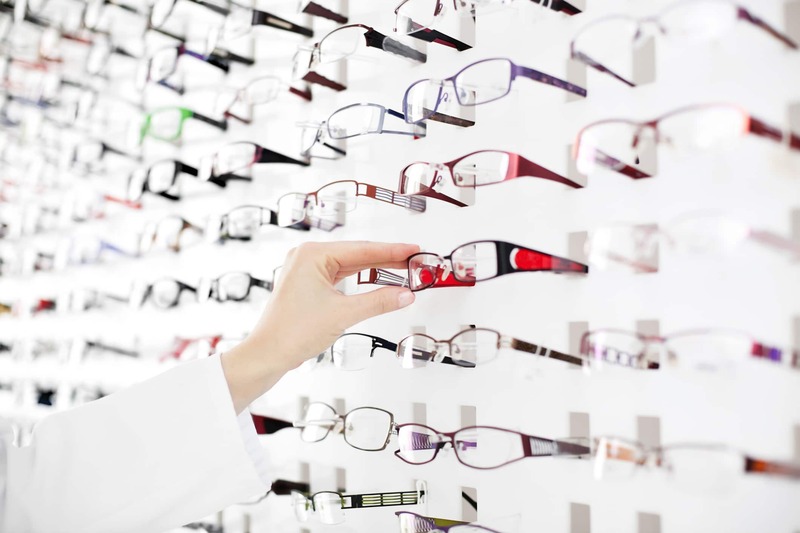 Although we can bend your frames a little to fix this problem, if it’s too severe, then we may need to fit you for an entirely new pair of frames instead. Do you remember getting headaches as a kid when your mom would make you wear a headband or hat for a family picture? Similarly, if your glasses are too tight on your head, they can cause constant headaches. To see if your glasses are the culprit of your head pain, try taking them off for about 10 minutes. Have your symptoms improved? If so, they are likely the problem. New glasses can make you see life in a whole new way. If your screws are loose, your frames are lopsided, or if you suffer from frequent headaches, you may need to buy a new pair. To learn more about glasses or to schedule your next examination, contact Papale Eye Center today!